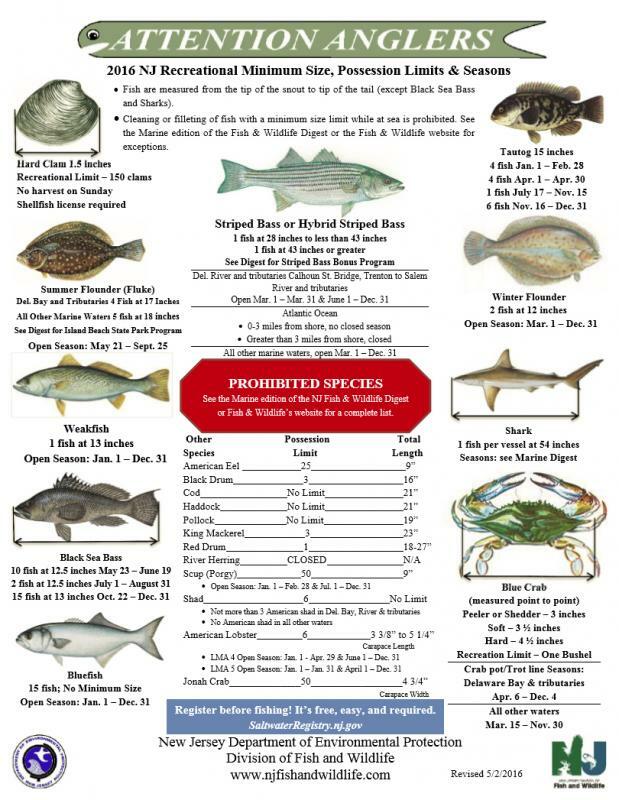 NJ marine recreational fishing regulations. The New Jersey Shore offers an outstanding variety of recreational fishing, from Raritan Bay and Sandy Hook to Cape May and the Delaware Bay. There are parks, lakes and trout streams for freshwater fishing and miles of ocean for saltwater fishing. There are many ways to enjoy fishing at the Jersey Shore; surf fishing, party boat fishing, deep sea fishing or just fishing from a dock. The bountiful back bays are great for dropping a line for those famous Jersey Blue Claws or raking up some delicious, fresh clams. Click to register for Saltwater fishing in New Jersey.